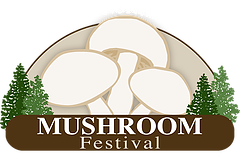 Ila’s Foods will be setting up a booth at the Pacific Northwest Mushroom Festival which takes place July 28th through the 30th at the Regional Athletic Complex in Lacey, WA. We will be there during the second and third days of the Festival, July 29th and 30th from 10:00 a.m. to 5:00 p.m. Stop by and purchase your favorite Jams, Jellies, relishes and toppings including our newest chocolate creation, Burgess Butter. Save on shipping and enjoy the festival! was at the “Festival” on Sunday and stopped by your booth. So Many flavors, how do we choose. Your helper was wonderful in letting us taste/test your products and she was very knowledgeable. After much deliberation, I picked “strawberry kiss” jam, my husband picked “raspy habaneros” jam, and together decided on “fiery hot & heavenly” sweet pepper relish. We liked the idea of your business embracing so many local foods in your products! Yummy and delicious!! See you soon . . . .